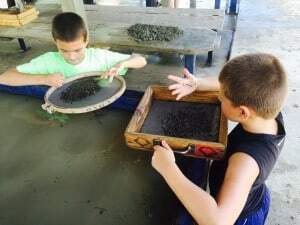 Build an awesome memory hunting and digging for diamonds at Crater of Diamonds State Park, an adventure for the entire family. Whether you come for a few hours, the day, or stay overnight for a few days, this is a must see and do experience. Learn about what to expect and what this amazing state park in Murfreesboro, Arkansas has to offer. We first learned of this place from a 50 states’ workbook my son enjoyed months earlier. He colored the flags, and we both learned something interesting about each state. We learned that Arkansas has the world’s largest diamond mine open to the public. We thought that was cool and enjoyed talking about it. Months later we learned two large diamonds were found. In April, a woman named Susie Clark found a 3.69-carat diamond. Later in June, a woman named Bobbie Oskarson found an 8.52-carat diamond. We were visiting family in southern Illinois a few weeks later in July, and while we were there, we decided to drive to Arkansas to check it out for ourselves. We are so glad we did. I never knew the actual name of the diamond mine so I was pleasantly surprised to learn it was actually a state park. For me, that changed everything. Originally, I was thinking it would be more of a tourist attraction type place, the kind of place that charges a lot of money and is always trying to sell you something. Maybe we would get to “mine” for gems with a pre-sorted amount of dirt or sand. I was so glad to see that this was a real experience on over 37 acres, at an actual state park. Crater of Diamonds State Park is part of a 95-million-year-old eroded volcano. I always feel like I’m a bit of a pessimist because I don’t want to get my kids’ hopes up…. As in: You probably won’t win that raffle because there are so many tickets in the jar, etc. Being mindful of this tendency of mine and also not wanting to squash the innocence and hope of youth, I did my very best to remain positive. I told my children that some people look for days and days and don’t find anything and others have been lucky and were able to find a diamond. Basically I wanted to deliver the message that it takes a lot of hard work and a lot of luck. Above everything, I wanted them to be safe with the shovels and to have fun. It was an unplanned, last minute trip so we didn’t bring any tools or buckets from home. At best all we could do was to try to dress for the very hot and very humid Arkansas summer day. We brought our sunscreen, hats, and lots of water. Also, we tried to wear clothes that we didn’t mind getting dirty. We turned my one son’s shirt inside out so it wouldn’t get ruined. I highly recommend wearing stable tennis/gym shoes. My husband and one son wore closed toe sandals that also worked. My other son had slides on, and I made the mistake of wearing flip flops. The problem is that you are walking on rocky, uneven, bumpy mounds of dirt for a lot of the time. You don’t want to twist your ankle or fall. We were fine but next time I would definitely wear gym shoes for more stability. Bring bug spray if you stay for the evening. Our hotel was almost an hour away so we left at 7:15am — no small feat — to get there before it really heated up to the 100 degrees that was predicted. We were very excited to visit the diamond mine, and it was a beautiful drive to get there. We arrived a little after 8am, and there were already a few cars in the parking lot. 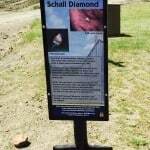 We looked around the Diamond Discovery Center, which tells you the history of diamond mining in the park. We saw what types of rocks and minerals we might find, and we learned a few things about how to mine for diamonds. If you do nothing else, at least be sure to see what a diamond looks like, lest you find some quartz and think you actually found a diamond! We paid our entrance fee, and walked out and down the ramp to the area that you can either rent equipment or proceed to the diamond mine. There was also a surprisingly wonderful-looking swimming pool with a slide and waterfalls just to the right of where we were going. If we had more time, we definitely would be going to swim after. We saw lots of people with full on gear, including wagons, to carry all of their equipment. Whatever you decide to bring, at the very least, bring lots of water and apply sunscreen if you come in the summer. We didn’t plan for this trip in advance by packing shovels and buckets, so we rented them. 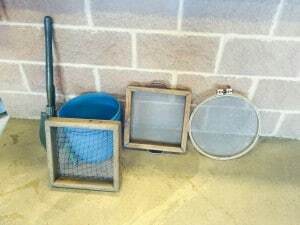 From their website it showed that a sifting screen is helpful too. Had we planned in advance, we would have just rented the screens and brought everything else. We rented the Deluxe Pack which included three sifters/screens, a bucket and an Army shovel. We rented one additional shovel. The shovel can turn from a shovel to a pick ax easily. They are the perfect size. All of this was enough for our family of four. They also offered a basic kit which included two sifters, a shovel, and a bucket. Each item was also available to rent individually. 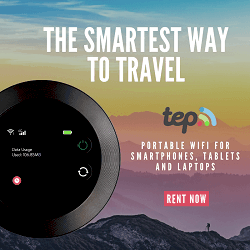 While it is all affordably priced, there is a large deposit for each item you rent, (to ensure everyone returns the items) so be sure to bring a credit card or enough cash. If you don’t rent the equipment they have, it would be good to have a small hand shovel, especially for younger children. You may want to bring a medium-large shovel for digging and breaking up larger areas of dirt. A bucket is helpful as is a sifter. They have small, free paper bags at the equipment counter for you to put your “finds” in. I didn’t know about this in advance and brought four zippered type plastic bags, one for each of us. As much as I don’t like using plastic bags, they did probably work better than the paper bags so my kids knew who had which bag without having to open them up, and they wouldn’t rip. I could have written their names on either type if I had a Sharpie or pen which also would have helped. After paying at the visitor’s center (and renting equipment if you choose to) you proceed to the acres and acres of dirt. There are also paved paths to walk and some covered areas for wet sifting. For whatever reason, I wasn’t expecting it to look like a big open field. In the beginning, we took advantage of the early hours and went for the little bit of shaded area we saw. The dirt had been recently tilled so we walked around and looked at the dirt. We found quartz — which looks like, but isn’t, polished diamonds — right away. Then we took our shovels and dug up some dirt and used our screens to do some dry sifting. We had fun turning over the earth and looking around at the freshly tilled soil. Another tip we learned (after some time, unfortunately) is to not break apart the dirt as the dirt won’t stick to diamonds. A diamond would be found loose in the dirt. A lot of the bigger diamonds have been found by walking the freshly tilled soil. We did our dry sifting in the shade while there still was shade, and then went to the wet sifting stations to go through our bucket of loose gravel and fine dirt. The wet sifting stations have roofs to keep the sun off of you but they are often crowded with people and still hot if it is a hot day. They have several washing stations with sluice boxes where you can wash off your rocks. They have water fountains by the wet sifting stations. A few people even had their own water and sifting stations set up with wagons. They had buckets of water that they brought in to wet sift, away from the others. Remember to keep looking for what looks like smooth, round, yellow, brown or black glass with no sharp edges that are sparkly and shiny. We saw lots of quartz in the beginning. We also found slivers of mica. Unfortunately, we didn’t find any diamonds. If you bring extra buckets, you can fill them with dirt and bring them over to the wet sifting area to look through. Around the park are large metal shovels which show where large, notable diamonds were found in the park along with a description and picture of what was found. 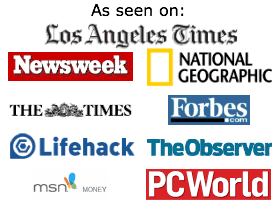 We read a few of them and found them very interesting. If it weren’t so hot, we would have probably walked to read them all. You want to be prepared for the weather. There is hot, intense sun in the summer. You are out in the open. Want to wear clothes that will keep the sun off you. If you have a hat with a brim to cover your face and neck, wear it. Sunglasses aren’t recommended as they make it hard to decipher out the rocks. I brought some snacks to keep the kids energetic, and we all drank lots and lots of water. We saw several people with umbrellas to help keep the sun off of them as well. We saw all ages here. We saw families with toddlers to teenagers, people on their own, and older couples. Everyone we saw seemed to hunting for diamonds. It was a really unique experience to see everyone be so hopeful and interested in the same thing. So often, especially as parents, we are there for our child’s enjoyment. Here, everyone was invested in finding a diamond! As the day progressed, even though it was over 100 degrees, it definitely became more crowded. There was a long line at the desk to pay the entrance fee and also for equipment rental. Aside from those lines, there was plenty of space among the acres and acres of dirt to spread out and dig, so crowds wouldn’t be an issue, no matter what time of day you started. We finished looking for diamonds around 12:45pm. We were hot and tired. And we were a little dirty. We were so beyond thrilled to see the cleaning station on the way out. There were several hoses to wash off the equipment you rent. We also used it to clean our arms and shoes. It really relieved us to be able to cool off with the hoses (in a respectable manner as we were washing our equipment) as we were so hot and had a long drive in the car. After returning our equipment and getting a refund on our deposit, we stood in a short line by the equipment rental area for the Crater of Diamonds State Park employee to look over our finds. He separated everything into different piles and told us the name of each mineral and rock. While we wished we found a diamond, we were happy enough with our day and the overall experience. Never has a pool looked more enticing and refreshing than that swimming pool (almost like a small water park with a splash area, some waterfalls and slides) right next to the diamond mining area. I wish we had time to enjoy that pool! And I am not a pool person so hopefully this explains how hot I was and how beautiful and fun the pool looked. On such a hot day it would have been so refreshing. I’m torn about the next time we come. I left thinking I would never come in the summer but if we came in the morning again and then took a break to eat and swim, then maybe we would be refreshed enough to go out and look for diamonds again. We just stopped here en route from Illinois to Arizona, and we still had a big day of driving that day. When our 9 year old got into car, hot, sweaty, and hungry, he declared: This is the best summer ever! This from a boy who already had quite a summer! While none of us found diamonds, we did find quartz, calcite, jasper, lava rocks, sandstone, and more. My kids were excited to put these finds among their rock collection at home. If you are lucky enough to live in Arkansas, you are spoiled for choice. There are 52 state parks in Arkansas. That is a lot of pristine green space for a mid-sized state. No matter where you live or travel in Arkansas, there is most likely a state park relatively close by. Most agree that one of the nicest and most unusual is the Crater of Diamonds State Park. 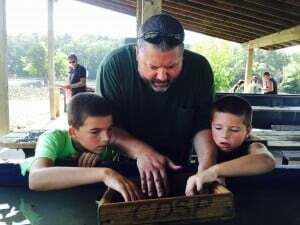 At 911 acres, it is one of the bigger state parks in the Arkansas, so there is a lot for you and your kids to see and do. If you are looking for a memorable trip this park ticks all of the boxes. Below is more of what it has to offer, though all we did was hunt for diamonds. Naturally, a lot of people spend most of the day hunting for diamonds, but the park has much more than that to offer. We wish we were able to stay longer. We learned that throughout the year the state park offers a range of interpretive programs and interactive experiences. What is available changes throughout the year, but top of the list of favorites are history walks, rock hound hikes and diamond mining demos. 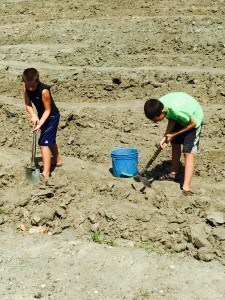 During the summer the ‘crater minors’ program runs. Giving children aged between 6 and 12 the chance to participate in a program of special hands-on events. A great way for kids to do things they would not otherwise be able to, gain confidence and learn new skills. On a hot day, the water park is a must. 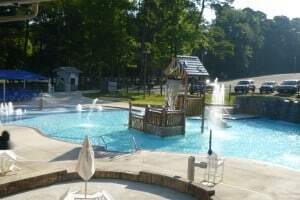 There is something for everyone a large wading pool, sprayers, water jets, geysers, slides and waterfalls all feature in the 14,700 sq ft water park area. If your child likes wildlife, there is the chance for them to get up close to all kinds of wild critters. The park has a large wildlife observation blind from which you can get a glimpse of turkeys, squirrels, deer, birds and other wildlife. In this park, you can enjoy both bank and boat fishing. The parks waterways offer catfish, bream, large-mouth bass and trout. Fishing licenses and bait can both be bought in the park. There are three easy marked trails to enjoy in the park. The Missouri River Trail is 1.2 miles long and runs from the wooded campsite to the river. It has the longest stretch of paved wheelchair accessible trail in the south west of Arkansas. The Prospector Trail is 1.2 miles long and takes visitors past some of the park’s most interesting geological features. For those who want a slightly longer walk the Wildlife Observation Blind Trail is ideal. It is 2 miles long, but is still an easy walk. Most areas of the park are open to dogs though I didn’t see any when we were digging for diamonds, so I am not sure if they are allowed in that section. The park has 47 AAA class campsites with access to electric, water and sewage hookups. Five more basic tent sites offer water access. We would love to be able to do this next time. Remember that traveling with kids is AWESOME family time! 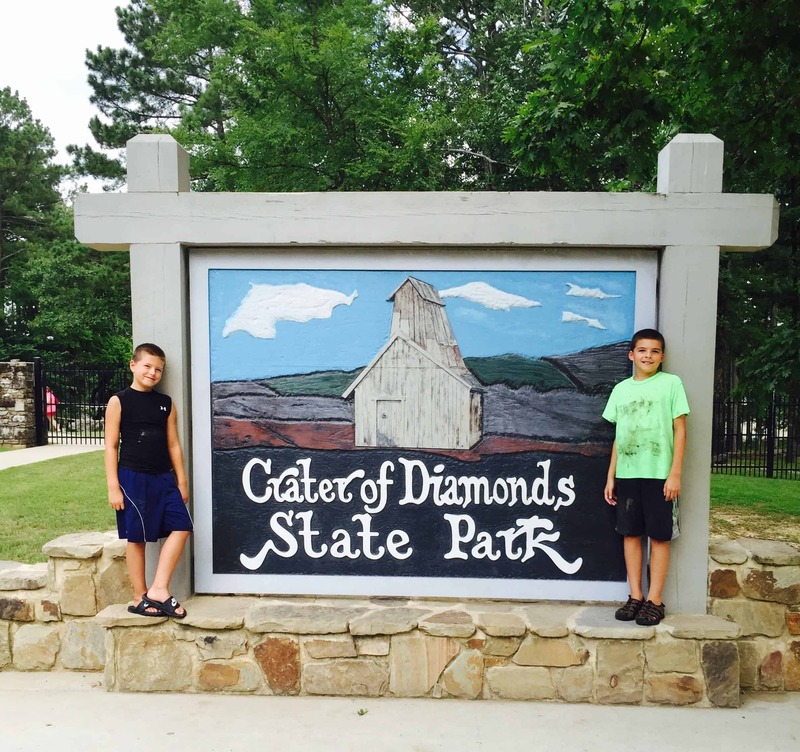 There is no better place for everyone in your family than the Crater of Diamonds State Park. Giving your kids an appreciation and love of nature is a great way to get them to enjoy spending time outdoors in the fresh air and to stay active. As they get older, kids want to learn, to see new things and be more adventurous. Once they reach that stage, it is the ideal time to take them to your nearest state park. Here are some more tips for traveling with kids. We’ve hunted for shark teeth and hunted for fossils. We were excited to hunt for diamonds too. The Crater of Diamonds State Park is definitely a place to visit, if even for a few hours. How many times in life do you get the chance of finding buried treasure? You will always remember the experience, whether you find a diamond or not.